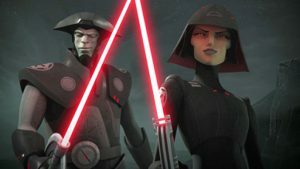 Second Sister and the Inquisitors Explained: Who Is the Main Villain of Star Wars Jedi: Fallen Order? - WebGamer.NET | The Website for Gamer. Even Darth Vader can't eliminate the Jedi by himself. Here's everything you need to know about Fallen Order villain Second Sister and her fellow Inquisitors.